Home Hiking & Backpacking Keen Vs Merrell: Which Is A Better Choice? 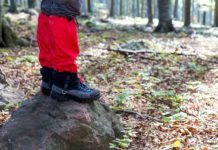 If you are looking for hiking shoes, chances are you have heard about two prominent brands in the market, namely Keen and Merrell. When I browsed through different forums and opinion boards on the Internet pondering which hiking shoes I should get, I was surprised to see plenty of discussion and comparison on Keen vs Merrell. Some hikers strongly recommended Keen while some others could not get enough of Merrell. So, which is better, Keen or Merrell? If you’re an outdoor enthusiast just like me, I bet you’ll understand the importance of finding the perfect shoes. We are not looking for the fanciest one, or the most expensive one, but the best one. Both Keen and Merrell offer pretty decent hiking shoes for hikers everywhere. And to save you from being torn between these two brands, I have carefully compared both brands, weighing both pros and cons to find a winner, which you can find below. The above table captures key features offered by both brands. However, in order to determine which works better, I will walk you through all you need to know about both Keen and Merrell so that you can confidently pick the brand that appeals to you. Keen Footwear was established in 1981 and has since been regarded as a leading manufacturer of boots and shoes. Keen products enjoy a reputation of being well-crafted at a reasonable price, which makes them incredibly popular among adventurers. When I first took up hiking and went around searching for a good pair of low hiking shoes, I found Keen hiking shoes truly hard to resist. So, what is it about Keen products that make them a fantastic deal when it comes to hiking shoes? As far as design is concerned, there’s not much you can complain about Keen. They understand what hikers need, and incorporate plenty of desirable features into their products. Most of their shoes and boots are made with a light and breathable mesh plus waterproof leather. They also include a breathable mesh lining with a rubber outsole and a low-density ethyl vinyl acetate midsole. What’s also worth mentioning is Keen shoes tend to be rather wider than other fellow outdoor shoes, and if you are among the folks with high foot arches, you may not find Keen hiking shoes comfortably fit. Since most Keen products are made with a casual design, you can wear Keens to a wide range of outdoor activities, be it a sporting event, jogging, traveling or trekking. Thanks to their ultralightweight, Keen shoes can easily be packed and carried around, which is perfect for backpacking. Keen shoes are also enhanced with odor control features, multi-directional lugs, flexible soles and dual density footbeds that are replaceable. - Pros: Delivering what they promise to be, well-crafted with waterproof materials, reasonably priced, can be used for multi purposes not limited to hiking or trekking, great for casual use, lightweight and portable, odor control features. - Cons: not very durable and long lasting, wear and tear of leather parts may occur after intensive use, not all parts are properly stitched, leather parts also cause feet to feel hot. I must say that as a pair of hiking shoes, Keen does not disappoint me. They perform decently in different terrains and hold up really well after a couple of hiking trips. 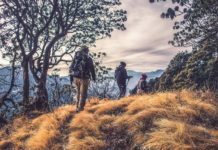 Although there are quite a few things that need to be improved, you can’t really find an equally good pair of hiking shoes for the same price. For short-term uses, they are unbeatable. Overall, I would recommend Keens for infrequent hikers who are on a budget and in a hurry to find a proper pair of shoes. While Keens remains a decent choice for general use, Merrell is the game changer for hard-core adventurers out there. There is just too much to say about this well-known footwear brand. First off, Merrell outperforms Keen when it comes to durability. 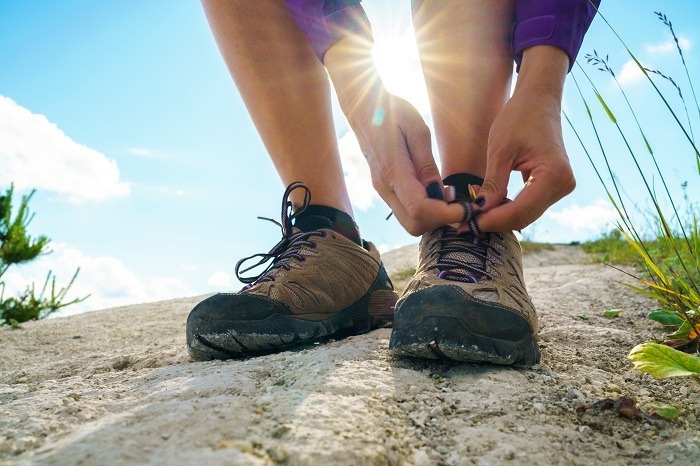 A pair of Keen hiking shoes may get worn off after several of rough uses, but a pair of Merrell shoes will hardly be affected thanks to their high-quality materials and the ability to withstand harsh conditions. Second, an investment in a pair of Merrell is worth every penny you pay, especially when you are a frequent hiker. Merrell will last for a long time, and you won’t have to be concerned about getting a replacement. 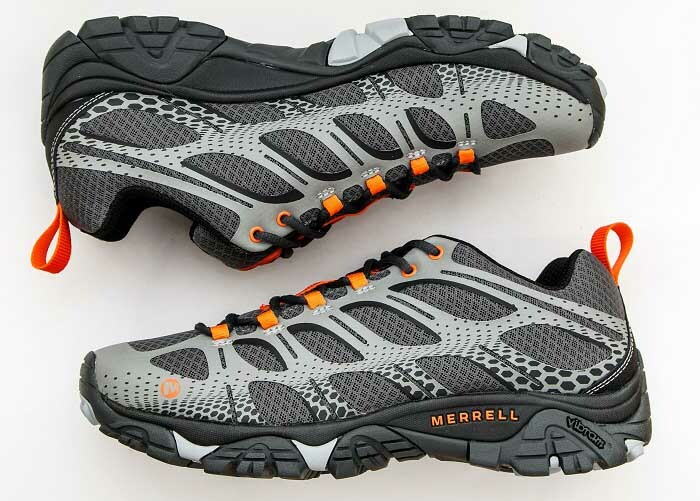 Thirdly, Merrell shoes generally include superior features that will surely take your comfort to the next level. In addition to comfort, Merrell hiking shoes can strengthen your foot safety by protecting your feet from potential injury while hiking in challenging terrains. To further understand why Merrell is often rated as one of the best hiking shoes, let’s take a closer look at how Merrell are designed and how they function. Merrell shoes are also manufactured to be completely waterproof. They are made of leather and mesh, with seamless upper overlays and breathable mesh fresh lining. To add to users’ extra comfort, Merrell incorporates air cushions, protective pads, lace closures and nylon arch shanks. Unlike Keens, Merrell shoes include thorough stitching instead of having certain parts glued together. This prevents tearing and wearing over long-time usage. Merrell shoes are also enhanced with a quick-drying feature, which allows the air to travel freely inside the shoes. While Keen products include the non-marking rubber outsole, Merrell products offer Vibram outsoles that help prevent heel slippage. This is particularly helpful if you choose to thru-hike or trek in areas that tend to get slippery. When it comes to walking on rough terrains, Keen shoes can’t compete against Merrell as the latter can walk you through the ups and downs with ease. 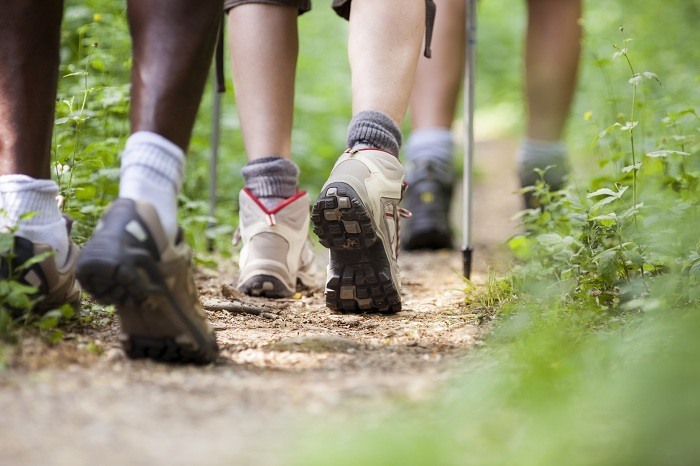 Your feet will feel completely at home, while your walking experiences will be smooth, soft, and comfortable. - Pros: Extremely durable, well-designed with airy and soft feelings, improved traction compared to other fellow hiking shoes, waterproof, comfy and lightweight, ideal for long-term use. - Cons: More expensive, not very comfortable for wide feet. When I switched from Keens to Merrells, I was pleasantly surprised at how comfortable and smooth the shoes felt on my feet and how they could stand up to rigorous use. I can’t recommend Merrell enough to other fellow hikers, or those who are looking for good shoes to play water sports. Whether it is a snowy or watery terrain, Merrells will help get you through. In other words, if you plan to hike or trek frequently, do not hesitate in investing in a pair of Merrells because they will never fail you. So it’s clear that both Keens and Merrell have their distinguished advantages and disadvantages. To shed some light on how they compete against each other, let’s compare them side by side on respective categories below and hopefully we’ll be able to find out which is a better choice. What makes both Keens and Merrells formidable footwear products in the market is their steady and impressive performance over the years. Both brands are made of high-quality materials, and I must admit that after experiencing with both brands, it’s impossible to say which performs better than which. However, when we take durability into considerations, Merrell products are definitely the winner. You can expect them to last a really long time. Even after rough use, Merrells would barely suffer from tearing and wearing. Sadly, the same thing can’t be said about Keens. Nobody wants to stick with uncomfortable shoes. Yet, as far as comfort is concerned, it’s almost impossible to determine which brand is more comfortable than the other, because comfort is totally a personal matter. What feels comfortable to me may not be comfortable to you, because our feet are different. With that in mind, it’s a tough call to decide which is a better choice when comfort is involved. If you have really wide feet, then Keen products will be more comfortable to you. Similarly, if you have narrow feet, then Merrells will be the right choice for you. In terms of prices, Merrells are more expensive than Keens. You get what you pay for, and in this case, for a pair of shoes that are going to last an utterly long time like a pair of Merrells, it is obviously going to cost you more. One way to reduce the costs is to wait for promotion programs offered by the manufacturer. The last thing to consider is your intended use of the product. Are you planning to do some thru-hiking? Or are you only going to do some camping? Or are you going to trek in mountainous and rocky terrains? 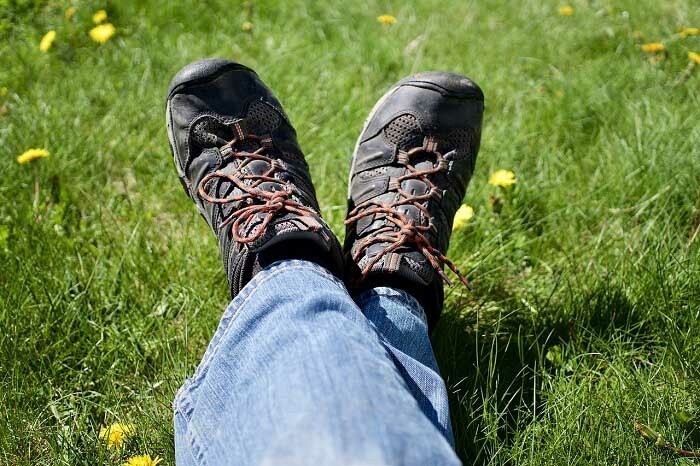 For most general purposes, Keen shoes seem like a great choice in the short term, but in the long run, Merrells seem to be a better choice. All in all, both Keen and Merrell are excellent choices for traveling footwear. It’s hard to tell exactly which is a better choice, as it’s entirely up to one’s needs and personal preferences. I hope that this post has been helpful for you in making an informed decision between Keen vs Merrell. Among these two brands, the question of which is better remains a debatable issue. 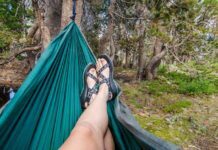 If you are new to hiking and outdoor travel, my advice for you is to first get a pair of Keens, and then once you become more experienced, you may think about upgrading to a pair of Merrells. Next articleBarefoot Hiking Tips & Benefits – All You Need To Know!